The People’s Armed Police have celebrated Chinese New Year by opening fire on unarmed Tibetan protesters in two towns in north-western Kham (Chinese west Sichuan) province. Last year, 16 Tibetans, monks, nuns and lay people set themselves on fire in protest at the Chinese occupation of Tibet and the exile of His Holiness the Dalai Lama. Since the uprising in 2008, Tibet has been under de facto martial law. Columns of the paramilitary People’s Armed Police marching through cities and towns in Tibet are now a common sight. When posters threatening more self-immolations began to appear in towns in Drango county the Public Security Bureau started arresting people. The posters stated that more protesters would set themselves on fire if the Chinese government did not listen to the concerns of Tibetan people. A large unarmed group that gathered to protest against the arrests were fired on indiscriminately by the People’s Armed Police. It was confirmed on Tuesday that six people had died following the shooting, with a further 30 thought to be seriously injured. Free Tibet Campaign has reported that many wounded Tibetans were too scared of arrest to seek medical treatment. This is likely to increase the numbers of those killed as a result of the shooting. After this shooting on Monday, news came through on Tuesday of second incident. An estimated 600 security personnel arrived at a peaceful demonstration in the main town of neighbouring Serther county and began firing into the crowd. Five Tibetans have been confirmed dead with more than 40 seriously injured. So far there has been little, if any, attention from the mainstream media and silence from governments around the world. The increasing scale of the protests and the level of force the Chinese government is willing to use to suppress them is increasing the desperation of many Tibetans in Tibet. Until global diplomatic pressure is put on China to cease the brutal crackdown on peaceful and unarmed protests, it is feared many more Tibetans may lose their lives. In response to the shootings, candle-lit vigils are being held by Tibetans and supporters across the world and many Losar2 celebrations have been cancelled. 1. 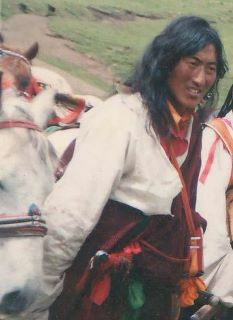 The Kalon Tripa is the equivalent of the Prime Minister in the Central Tibetan Administration aka Tibetan Government In Exile. 2. Losar is Tibetan New Year which this year falls on 22 February. Google have announced that they may be closing their services in China following a “highly sophisticated and targeted attack on our corporate infrastructure originating from China”. They went on to say that the attacks, originating in China were directed at advocates of human rights in China. Well the first thing to say is “About f**king time!”. As an activist in the Tibetan freedom movement I have received numerous attacks on my email account, as many as 10 in one day during the Olympics! Some of these are more sophisticated than others – the vast majority are VERY easy to spot as they use broken English and contain attachments from people I don’t know. Others are much more clever. One I received during the Olympics appeared to be from a colleague, they had cloned her email account and had written the email in fluent and clear English. It just so happened that I was sat in the office with that particular colleague at the time. In another instance I received an email appearing to be from a former colleague and friend who had recently left. The email address was right and the personal facts in the email – they knew where he worked and that he had recently left – were also right. They also knew our most basic security procedure – not opening attachments unless they were expected – and said in one email that they would send a document in the next. To be sure I rang the person the email was supposed to have come from and he had no knowledge of it at all. The attachments in both these cases were sent to an expert in computer viruses who did some analysis and found that the emails had some very sophisticated zero-day viruses and had originated in China. Though it cannot be definitively proven, it is widely believed that the attacks come from civilians in China who are recruited by the military specifically for this purpose, often from leading computer science universities. It is telling that Google has gone public with this before talking to Chinese officials. This will have pissed the Chinese government off no end (always a good thing in my book), but also meant that unless there is a serious commitment to more openness from the Chinese government it makes it more likely that Google will leave. I suppose one more year would have been too much to ask. But seriously, Tibetan film-maker Dhondup Wangchen has been sentenced to 6 years in prison for crimes as yet unknown. His trial was held behind closed doors and he was not allowed independent legal representation as the Chinese government stopped his lawyer from being able to attend. His family was not told of the trial nor of the verdict. Dhondup Wangchen was originally arrested in March 2008 after making his film Leaving Fear Behind, in which Tibetans inside Tibet spoke out against the occupation and how they believed the Olympcis being in China would imapct on Tibet. 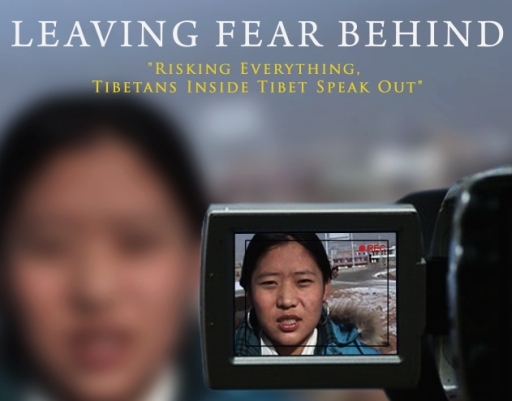 It is a very powerful and moving film which you can watch on Free Tibet TV. If you want to do something about this, Students for a Free Tibet have a campaign calling for his release.